Our extensive top down demolition experience lies in city environments, and spans implosive techniques on industrial and commercial, residential properties, medium sized, mix used developments and large office buildings, refurbishment, strip out de rating. Expert advice throughout the demolition planning and consultation process also helps to ensure that even on the most complex projects, our fully trained and certified team will always keep surprises and costs in check. We maintain 100% CSCS accreditation for all field staff and office staff. We aim to seek a lasting legacy. Relentlessly pursuing the longer-term goal of excellence in environmental performance. UKAS ISO 9001 / 14001 and OHSAS 18001 in the future. Management Qualifications, Demolition Supervisors, Asbestos & Plant Operators. 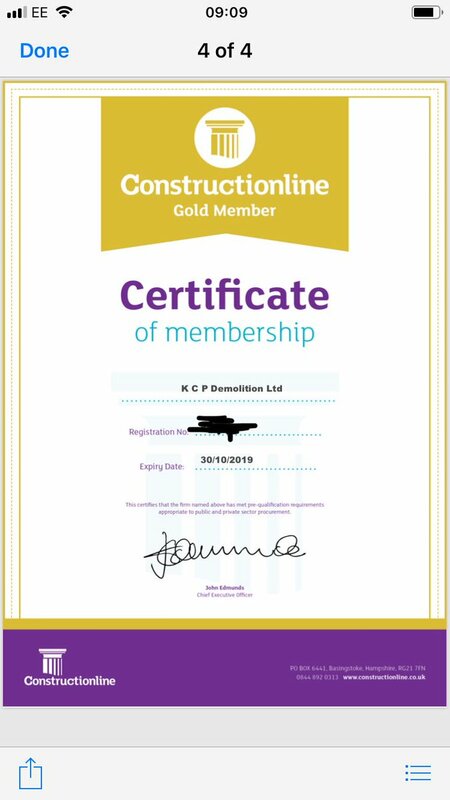 KCP Demolition Ltd has been established since 1983, during this period the company has worked and joint ventured with both UK and US major contractors specializing in the demolition industry, in most cases KCP have not sought to promote its own identity. KCP have vast experience in dealing with all aspects of demolition. KCP have been the operational core of six major UK Companies in the past 20 years that can be demonstrated to any prospective client. KCP will provide you with a solution however big or small your building project may be.